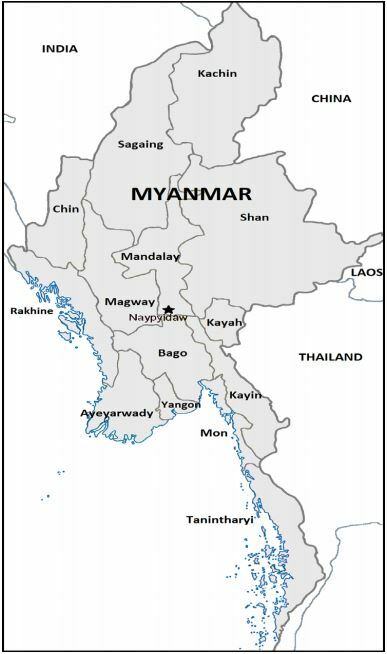 On Nov. 8, 2015, Myanmar held the first general election under the 2008 Constitution in which all main political parties, including those that boycotted the election in 2010, chose to participate. The Carter Center observed the election process for over one year, from December 2014 through March 2016. Based on its in-depth observation, The Carter Center reaffirms its congratulations to the people of Myanmar, who exercised their political rights with pride and enthusiasm. Their empowerment and commitment to the democratic process was not only remarkable but crucial to counterbalancing the considerable structural impediments to fully democratic elections. Despite flaws observed, the post-election period confirms the Carter Center’s view that Myanmar appears to be on a positive trajectory toward a peaceful, democratic transition as a result of these elections. To maintain this trajectory, it is important for all actors to engage in a dialogue and consensus-seeking process to identify constructive steps toward lasting peace and national reconciliation. The Carter Center encourages the government, parliament, electoral authorities, and civil society of Myanmar to prioritize political and electoral reform based on internationally accepted democratic standards and offers its continued support for reform. The Carter Center encourages the government, parliament, electoral authorities, and civil society of Myanmar to prioritize political and electoral reform based on internationally accepted democratic standards and offers its continued support for reform. 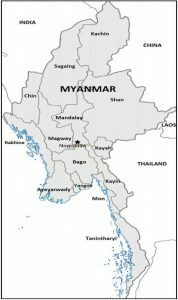 The Carter Center has maintained a presence in Myanmar since opening an office in Yangon in October 2013. At the invitation of the Union Election Commission (UEC), the Center deployed long-term observers from December 2014 through July 2015 to gather information on the pre-election environment and the ongoing transition process. Following a formal invitation in March 2015 to observe the election, and the announcement of the election date for Nov. 8, 2015, the Center officially began its election observation mission on Aug. 1, with six long-term observers and four core team experts monitoring and reporting on election preparations, the campaign period, and other aspects of the election process. On election day, the Center deployed a total of 62 observers from 25 countries to observe voting and counting in 245 polling stations in all states and regions. The mission was co-led by Jason Carter, chairman of the Board of Trustees of The Carter Center; Mary Robinson, former president of Ireland; and Bhojraj Pokharel, former chairman of Nepal’s election commission. The Center continued its field observation in the post-election period, including during the tabulation of results and election dispute resolution. The Carter Center’s observation mission was conducted in accordance with the Declaration of Principles for International Election Observation. Constitution: Amend the constitution so that all members of at least one house of the Union parliament are elected by direct vote. Reserved seats for military appointees should be phased out. The appointment mechanism for the election management body should be reviewed to ensure that it guarantees independence and impartiality. Constituencies should have relatively equal numbers of residents or registered voters. Unreasonable restrictions on the right to vote should be removed. Provisions on candidate eligibility should be amended to end discrimination based on citizenship or other undue restrictions. Union Election Commission decisions should be able to be appealed to a judicial authority. The prohibition of anyone with a parent, spouse, or child with foreign citizenship from becoming president should be reconsidered. Election Administration. Amend election laws to regulate some parts of the electoral process that are currently within the discretion of the election commission. To ensure balanced, impartial election administration at all levels, new procedures for appointment of subcommission members should be devised to ensure that the composition of the election subcommissions is gender-balanced and representative of the ethnic diversity of Myanmar. Subcommissions should have more independence from the General Administration Department. Voter Registration. Ensure that the new digital voter register is accurately maintained. To this end, the Union Election Commission should update the voter register at regular intervals, using its own data as well as information provided by other government agencies. There should be adequate staffing at all levels to support voter list operations. Citizenship. Bring legislation affecting citizenship in line with international standards. The legal status of habitual residents of Myanmar, especially former temporary registration certificate holders, should be resolved, and equal access to citizenship ensured through a timely, non-discriminatory, and transparent process. Election Observation. Amend election laws to provide for electoral observation. All advance voting, including the casting of ballots, should be fully open to observation by accredited observers and party/candidate agents. Political Rights. Guarantee that the freedoms of association, assembly, and expression enshrined in the constitution exist in practice. Candidates and political parties should be permitted to campaign without undue limitations or burdensome requirements for prior approval. No prior approval of the content of speeches should be required for contestants to use free media time. Campaign Finance. Enhance the effectiveness of campaign-finance regulations through the introduction of a monitoring mechanism, regulation of spending by political parties and candidates in the pre-campaign period, limits on the size of individual donations, disclosure of donors who contribute amounts above a certain threshold, the publication of campaign-finance reports, and introduction of a range of sanctions for violations of campaign-finance regulations.